@TODO - this document is out of date and needs updating. 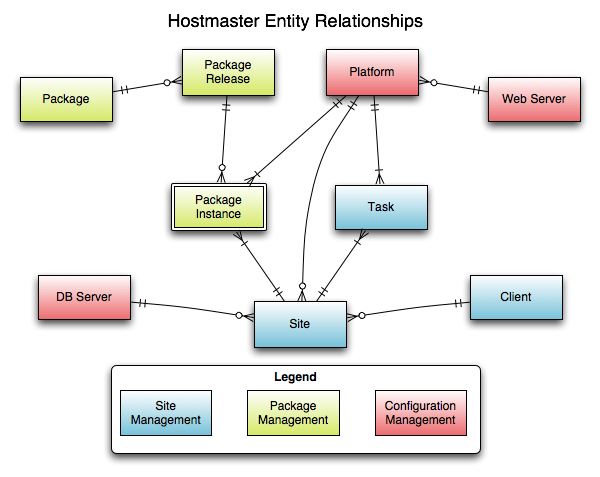 This page documents all the different terms used when referring to components of the Hostmaster system, and how the different entities relate to each other. The type of service that runs on the server. In the example of 'HTTP' as a service, a service *type* is Apache or Nginx, for example. MySQL is a *type* of service 'Database'.